Explore the fascinating archaeological ruins of Northern Peru, on an off-the-beaten-path adventure to this far less visited region of the country. Beginning in Lima, you’ll get to know the city before flying north. 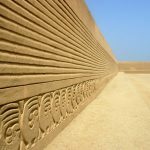 Around Trujillo and Chiclayo, not far from the border with Ecuador, there is a wealth of pre-Incan sites to discover, from pyramids and temples to ancient cities and gold-laden tombs. These ancient places date back to as early as 100AD and their scope is truly incredible. 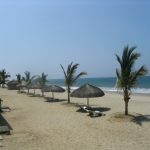 The north is also where you’ll find Peru’s best beaches and you’ll be rounding off your adventure with a few days of all-out relaxing in the lovely coastal area of Punta Sal. This is a private tour and you will be accompanied by an English-speaking local guide during all excursions. The price displayed is per person based on two people sharing. All tours can be tailor-made to suit your needs and requirements. Kuelap fortress. Northern Peru Andes. Beginning in the capital city of Lima, you’ll get to see all the highlights of the city, from the modern coastal neighbourhoods to the colonial centre. There will also be plenty of time to enjoy the city’s famous dining scene and sip a view Pisco Sours in its cocktail bars. 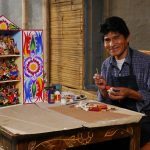 In nearby Lurin, you will participate in traditional fair trade ceramic and textile workshops, visit the Pachacamac Unesco archaeological complex and the tranquil Casa Blanca organic farm. 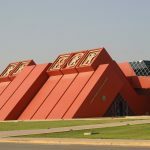 After a few days in the south you’ll fly north to Trujillo where you’ll see the ancient temples of the Sun and Moon built during the Moche civilisation of around 100AD to 800AD. You’ll also visit Chan Chan, a vast adobe city that was once home to some 30,000 people before it was conquered by the Incas in 1470AD. You can still see the layout of the city as you wander through its walled citadels and admire its intricate frescos and carvings. From there you’ll continue to Chiclayo, a busy state capital, which is home to many well-preserved colonial mansions and a busy market where you can buy anything from traditional fabrics to fresh fruit and shamanic potions. In nearby Tucume, the tomb of the Lord of Sipan offers a glimpse of the riches of the past, and although many of its treasures were looted over the years, there is still an impressive display of gold and silver in the nearby museum. Heading north-east into the Andes, not far from the border with Ecuador, you’ll spend several days staying in small rural villages in the valleys and mountains of the region. Here again, you’ll discover ancient treasures of temples and pyramids overgrown with tropical plants or nestled in the forest, as well as spending time with the local communities and learning about their lives. On your last day in the Andes you’ll visit Kuelap, the mysterious city of the North, perched high above the clouds. As you explore this Andean fortress you’ll learn about Chachapoyas’ ancient culture. Finally, you’ll travel to the Northern Pacific Coast, where you can relax on one of Peru’s best beaches, Punta Sal. The weather here is positively balmy and the calm waters are warmed by the coastal currents. You’ll be welcomed at the airport in Lima and driven to your comfortable hotel in the Miraflores district. Along the way your guide will tell you about the city and you can ask any questions that you have. The rest of the day is free for you to relax after your journey. You’ll be picked up at your hotel for a guided city tour. 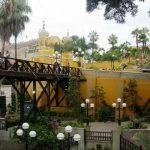 Visit the modern neighbourhoods of Miraflores and Larcomar where you’ll enjoy panoramic views of the Pacific Ocean and then walk through Barranco to see the Bridge of Sighs. Continue to the colonial district of Lima, exploring San Martin Square, the Government Palace, the Plaza de Armas, the cathedral and the Catacombs of San Francisco with their beautifully decorated tiles and paintings. Later, visit the Museum of Archaeology and Anthropology for an excellent overview of Peruvian pre-Columbian civilisations. Return to the hotel and the evening is free. Visit the pre-Hispanic Sanctuary of Pachacamac, a major religious site and one of the most important archaeological sites in Peru dating back to the 6th Century. Continue to the Casa Blanca Ranch where they study ecological agriculture and grow organic food. Finally, visit the Ichimay Wari Craftsmen Workshop Association where you will be able to observe and take part in the production of crafts, such as ceramics and fabric weaving. Late evening, transfer to the airport for a flight to Trujillo where you’ll transfer to your comfortable hotel. Visit the Huaca Arco Iris, one of the most well-preserved temples of the Chimu civilisation of Northern Peru. The impressive Huacas del Sol y Luna – the Sun and Moon temples - were built during the Moche civilisation (around 100AD – 800AD). You will then continue on to the amazing Chan Chan, the largest pre-Inca city in South America, built by the Chimu civilisation around 850AD. This adobe city is around 20km square and was home to around 30,000 people before it was conquered by the Incas in 1470AD. 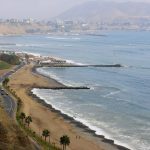 Finally, you will visit Huanchaco Bay where you’ll be able to enjoy a sea walk before returning to your hotel in Trujillo. Travel by private car 70km from the city of Trujilllo to visit the archaeological complex of El Brujo and the museum of Lady Cao. 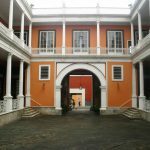 After the visit you will return to Trujillo to visit some of the city’s beautiful colonial mansions with their colourful balconies and traditional facades. Later, you’ll go by bus to the city of Chiclayo (approx. 3hrs) where you’ll transfer to your hotel. The rest of the day is free for you to relax or explore the town. Visit Chiclayo’s busy morning market, including the section known as the Witches Market where you can find all kinds of herbs, plants and potions used by shaman. Visit the archaeological complex of the Lord of Sipan, an important Moche governor and the first mummy discovered here intact in 1987. You’ll also explore the site’s impressive museum housing treasures from the Lord of Sipan tomb. Later, see the Túcume ruins made up of several pyramid-style constructions. You’ll overnight in a lovely rural lodge close to the site. 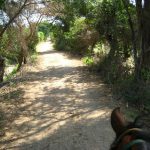 Take a horse riding tour from your hotel into the nearby Pomac Bosque Historic Sanctuary, a dry forest of carob trees. There will be lots to see along the way and you’ll also visit the pyramids before returning to Tucume. The afternoon is free for you to relax or take part in optional activities, such as a visit to the Sican Museum or bread-making and bamboo workshops. Head to Cocachimba by private car (approx. 8hrs), travelling into Peru’s Northern Andes region. The landscape will change from the coastal desert lands of the Pacific, to green forests and valleys and high Andean peaks. Crossing the Marañon River you follow the Utcubamba River, arriving in Cocachimba in the late afternoon. Tonight you will be guests of the Cocachimba community and you’ll be staying in a private guest house. You’ll be able to visit their workshops and find out about traditional weaving and the process of making Guarapo, a typical sugarcane liquor. 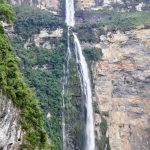 Travel by car to Chachapoyas village from where you’ll begin a hike to the impressive Gocta Waterfall (Approx. 2h30). On the way, you’ll enjoy beautiful views and spot all sorts of interesting birds and wildlife. 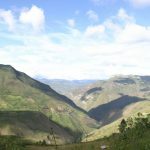 You’ll then hike back to the Chachapoyas village and transfer to your comfortable hotel. The rest of the day is free for you to relax at your hotel and explore. Travel by car to Cruzpata village, a community surrounded by forests of eucalyptus and alder. From there you will take a walk (approx. 1hr) to the Karajia sarcophaguses, where you’ll be able to find out about their history and see the mummies contained there. 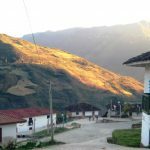 After returning to Chachapoyas, you’ll travel on to Pueblo Maria, a very small rural village where you’ll be spending the night in a local guest house. Take a short drive to nearby Kuelap, a famous archaeological complex dating back to the Chachapoyas culture. Tropical plants grow up and around the structures and there is a unique atmosphere permeating the narrow alleys of this ancient citadel. After your visit (approx. 3hrs), we will travel on by car to the Utcubamba River Valley to visit the archaeological site of the Macro Towers. Later, return to Chachapoyas from where you’ll take an overnight bus to Chiclayo (approx. 8hrs). 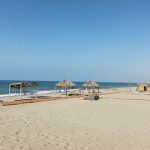 Upon arrival in Chiclayo you’ll transfer to the coastal town of Mancora and on to Punta Sal. The rest of the day is free for you to take a stroll along the beach, swim in the warm waters of the Pacific and enjoy the laid-back pace of this beautiful coastal region. You’ll overnight in a comfortable hotel in the town. Free day for you to enjoy the beach and relax. There are also several optional activities available, such as bird-watching or hiking or visiting the fishing harbour of Puerto Pizarro. You could also visit the nearby national park of Manglares de Tumbes. In the evening enjoy dinner by the sea on your last evening in Northern Peru. Transfer to the airport for your flight to Lima and homeward journey. Alternatively, you could continue your travels to Ecuador and visit the incredible Galapagos Islands and the Amazon. From Punta Sal, take a morning bus to Guayaquil (approx. 9hrs) and continue your adventure from there. Comfort level: Medium: Accommodation in B&Bs or 2-star family-run hotels (always in a private room). Your passport is required at time of booking. For information on visa requirements and health formalities please visit the FCO Travel Advice Website (for UK citizens) and US Travel Advice website (for US citizens). This tour of Peru, like most of our adventures through South America, has a low level of physical difficulty and participants can choose to do as much or as little as they like. If you have any concerns or require special arrangements please call or email us to discuss. What to bring: Travel insurance, passport, binoculars, alarm clock, walking shoes, water bottle, daypack, sun protection, insect repellent, sun glasses and hat, swimwear, flip-flops, comfortable light cotton shirts with long and short sleeves, comfortable trousers made of cotton or a light synthetic material (bring at least two sets of light clothes which can be washed and dried easily), shorts, rain coat. Extra budget recommended: Around £300 / $350 pp to cover meals and all other expenses not included in the itinerary. Explore the fascinating archaeological sites of Northern Peru on an off-the-beaten-path adventure to this far less visited region. Beginning in Lima, you’ll enjoy pisco sours and ceviche before flying north. 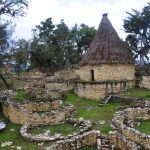 Around Trujillo, Chiclayo and Chachapoyas there are a wealth of pre-Incan sites to discover, from pyramids and temples to ancient cities and gold-laden tombs. These ancient places date back to as early as 100AD. 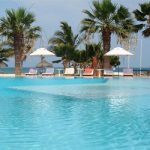 The north is also where you’ll find Peru’s best beaches, and you’ll round off your adventure with a few days relaxing in the lovely Punta Sal. Tagged as active, agriculture, Andes Mountain Range, archaeology, bird-watching, cultural experiences, cultural heritage, family-friendly, handcrafting, hiking, horse-riding, indigenous peoples, sightseeing, social and environmental projects, traditional gastronomy, unspoiled beach, wildlife.